Tonight I went and enjoyed the Alice + Olivia presentation of Stacey Bendet's Spring/Summer 2015 collection at Le Pierre Hotel. The theme was The Palace of Versailles in Franc. Ooh la la. Tres chic it was. Enjoy! Ruffian Transformations Backstage at New York Fashion Week! Hasselblad Ambassador and NYC/Paris based fashion photographer, Jodi Jones, once again broke out the Hasselblad HV and captured images backstage at New York Fashion Week; this time for Ruffian designers, Claude Morais and Brian Wolk. Jodi tracked the models from when they first walked into the tents until they hit the runway! The concept was to capture shots of the models in “stages” from street wear to catwalk ready. Talk about transformations, take a look at these! All photos by Jodi Jones. Special thanks to Hasselblad, Aeros Communication, and the Ruffian Fashion Designers, Brian Wolk and Claude Morais! For more of Jodi's New York Fashion Week images shot on the new Hasselblad HV camera, check out Jodi's coverage of the Organic by John Patrick Fashion Show. 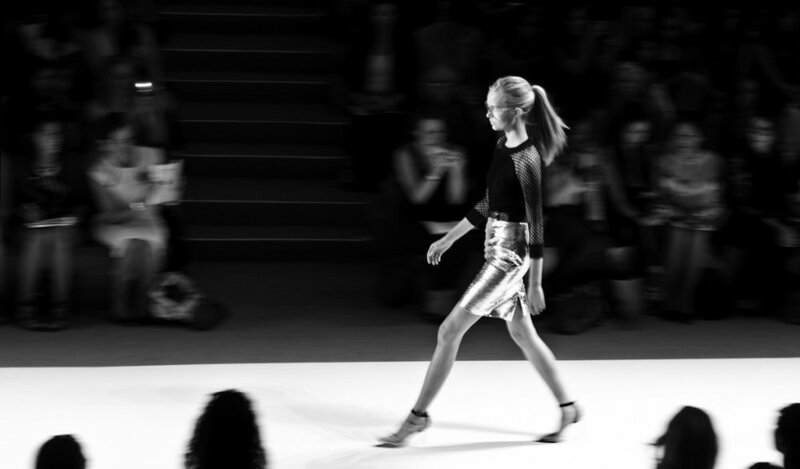 Exclusive: Jodi Jones covers NYFW with the 2014 Hasselblad HV! For Immediate Release: New York & Paris based Fashion Photographer Jodi Jones has once again been chosen to premiere the newly released 2014 Hasselblad HV during New York Fashion Week. According to Hasselblad CEO Ian Rawcliffe, "This camera is a photo icon." “A brand new ‘elite’ camera aimed squarely at people who don’t just love taking pictures, but love taking them in real style.” According to Miss Jones, "I consider Hasselblad as family and every time they ask me to tryout one of their new cameras, I feel as though I need to handle it like my newborn baby. And that I do!" Jodi Jones at Mercedes-Benz Fashion Week in New York. Jodi Jones shooting the Model Hall of Fame party with the Hasselblad HV. Jodi Jones and Fern Mallis. Fern Mallis was the Executive Director of the Council of Fashion Designers of America from 1991-2001, and created 7th on Sixth productions or NY Fashion Week as it's known today. Jodi Jones and Robert Verdi. Robert Verdi is an American TV personality and style expert. To see the first set of fashion week photos from the new 2014 Hasselblad HV check out Jodi's coverage of Organic by John Patrick at NYFW. Here is a short montage of inside the lobby at the fashion tents, backstage, and on the runway with the Canon C100. Our Review: The first thing we noticed was this is a serious camera. We previously had only shot motion footage with our dslr cameras: canon 5d, canon 7d, and nikon d800. While we absolutely love these cameras, we definitely felt different shooting with the C100. When Fred at Fotocare brought out the camera to us for the first time, I was shocked at how striking it is in person. This was even reflected when we took the camera out on-location. In the lobby at Fashion Week we were really surprised how many people came up to us asking about it. These were fashionistas on their way to the Marc Jacobs fashion show and it seemed that the C100 got a lot of attention. The C100 has a Super 35 CMOS sensor so needless to say the footage looks gorgeous. You have a tremendous amount of information in post to work with. Color adjusting was a breeze. We could have used our regular canon lenses, but we were really excited to test this camera with the new Cine (Cinema) Lenses. WOW. Beautiful glass! We used a CN-E24mm, 50mm, and an 85mm. These lenses are simply remarkable, but quite heavy! We just loved that this camera had internal ND filters. They simply are a great feature to have. I really wish all cameras had this. They allowed for quick adjustment and no need to carry anything externally in a bag. We went from shooting outdoors in bright sunlight at a Chinese New Year Festival to immediately shooting indoors with limited light at Fashion Week. The Dual SD card slots were also a benefit. Having dual card slots gives you the option of recording to 2 separate cards at the same time if needed for a client. We didn’t feel the need to record it twice, but it’s a nice option. One 32GB SD card lasted us all day and you can shoot hours and hours of C100 footage on just one battery. The audio was of good clear quality. If you are serious about video then you know you have to be serious about audio. The audio can be recorded from two XLR mic sources or using the internal hotshoe adaptor mic. Either choice is good. We still prefer to use an external shotgun mic and a recorder dedicated to audio only. We used the Zoom H4N to supplement the audio. This allowed us to have closer audio to the action. Having two audios is safer. We tried using the HDMI output but had limited opportunity to really use it. We were not allowed to use tripods or sliders in the lobby at the fashion tents, but it’s good to know that this camera is full featured. The low light high ISO capabilities were very good and could be cranked up quite a bit, but keeping it around iso 850 was ideal. In our opinion, there really isn’t a 1080p video camera as good as this for the price. Although it is a step up from the 5d price range, (the Canon c100 is about $6500 at Fotocare) with all it’s features we would say it is competitively priced if you compare it more to the higher end professional video cameras out there. But where is the SLOWMO ability?!! This is really our only issue with this camera. We really had hoped it could shoot 60fps. This is really tough to deal with for some people but the C300 can alleviate that problem for you – for a price. Otherwise we think the C100 would be loved more! This is great for the independent videographer that wants quality 1080p and to step beyond the DSLR. We love this camera and really feel that it’s a strong contender for cameras under 10k. It’s super simple to use straight out of the box and most importantly, it really takes a beautiful image. Note: All footage in the lobby is handheld as no tripods were allowed in the lobby of the fashion tents.